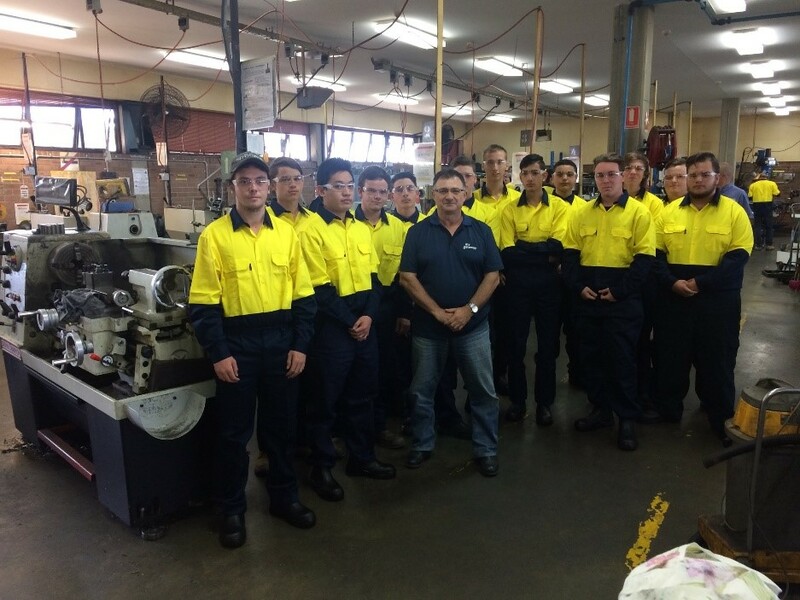 MyGateway ran a MIP in engineering and automotive with 12 participants, of which 8 go onto apprenticeships. has good rounded basic skills to be successful in the trade. is really pleasant and was keen in the workplace extremely quiet and softly spoken needs to improve a little more with his communication skills and feeling conformable when dealing with people. performed well during work experience a little quiet at times but opened up when he got more comfortable with the surrounding and people. is a really switched on 16-year-old. He really enjoyed the engineering trade but is still a little uncertain in want direction he wants to take. Has good general skills. is a very smart and intelligent young man. He wasn’t really sure if he wanted to continue in the search for an apprenticeship. As he saw a four year commitment too long . performed well with simpler task. At time struggled to follow instruction and when work about throughout the plant. has a good understanding of the Industry from working on the family farm. A little quiet but that will come along with more interaction in the workplace. 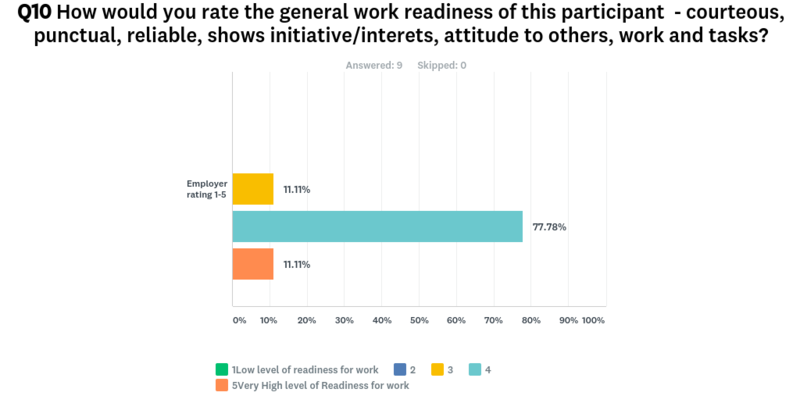 The hosts rated the work readiness of the participants highly.